First off, I know my blogging has really been sporadic at best the past few months--which I have probably hated more than you--but there was this perfect storm of opportunity that descended upon me back in August--I was asked to be in a magazine, then I was asked to guest blog on Whip Up, then I was asked by three different people with three different publishers to contribute to books--and then I was accepted as a vendor to the No Coast Craft O'Rama. Damn! It has been a busy three months--an avalanche of activity I am grateful for, but I have missed the rhythm of contributing to this blog and meeting up with all of you. But now I am here. Perhaps not quite rested yet given the holiday crafting mania that besets me annually like an illness for which there is no cure (homemade ornaments! cookies! handmade gifts! yes, yes, YES! ), but here I am, nevertheless. Sipping some tea, happy because I have managed to come up with a little gift for all of you--call it a thank you for continuing to stop by, for continuing to leave a little comment or two, for continuing to check in despite the fact that I may not have been home at all. 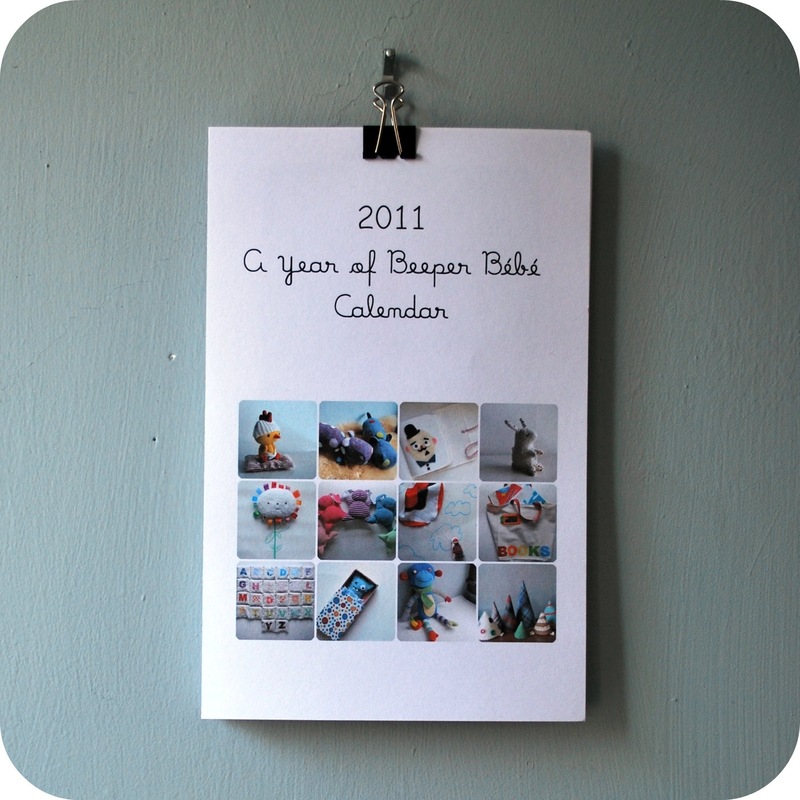 You see, I always make calendars every year for Mr Beeper, and my mum, but it got me thinking--why not a calendar for you? 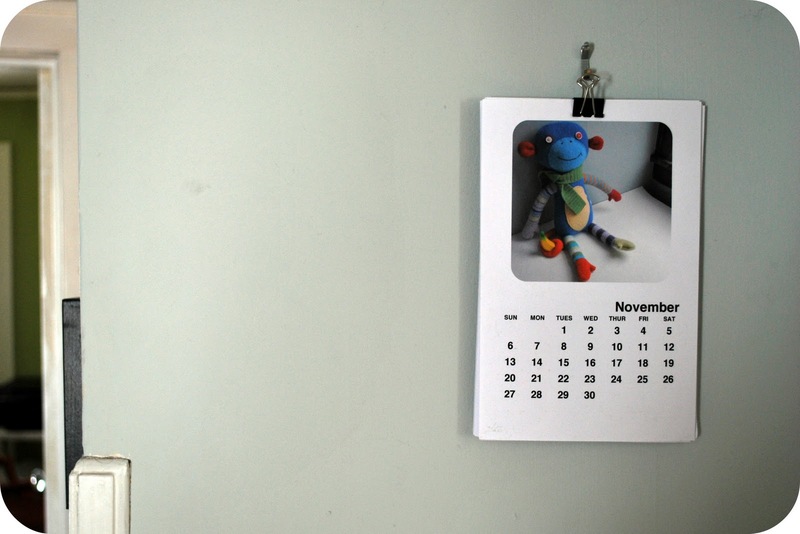 Because everyone needs a little calendar to hang over their desk--something than can both be useful and lovely to look at. So I have gathered photos from all my favorite projects I made this past year and put them into this calendar...and maybe it will even inspire you to make some of them since over half of the photos are from projects you can download instructions and templates for right here. Ahhh! 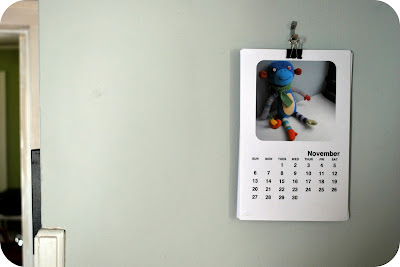 What a great gift to hang up in my son's room as we are learning about the days of the month now! Thank YOU!!! 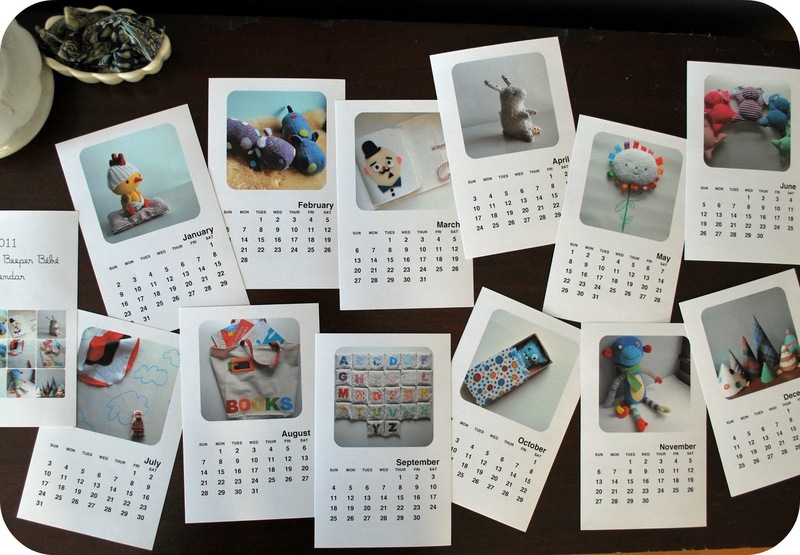 Thanks for the cute calendar! Love your crafting - so cute. you've just been nominated for the stylish blogger award! Oh! Oh! So exciting!!! I love it to bits--you're awesome, and you know I love you. p.s. Do you sleep? I mean, really?! Thank you so much for this post. I want to let you know that I posted a link to your blog in CBH Digital Scrapbooking Freebies, under the Page 2 post on Dec. 17, 2010. Thanks again.